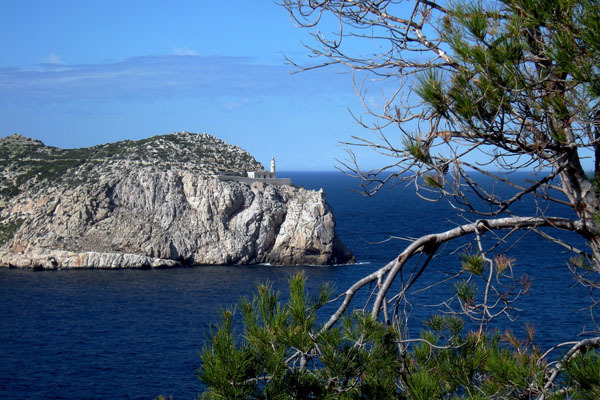 On my last trip to the island of Sa Dragonera I went to one of the lighthouses, the Far de Tramuntana. After setting over from Sant Elm by boat, the hike from Cala Lladó to the Cap de Tramuntana took about 40 minutes, each way. There are two more lighthouses on the island, the Far Vell (now abandoned) on top of the Na Pòpia mountain at a height of some 350 metres, and the Far de Lebeig, where I have not yet been. I went back to Sant Elm yesterday for another walk on Sa Dragonera island, but it was not to be. 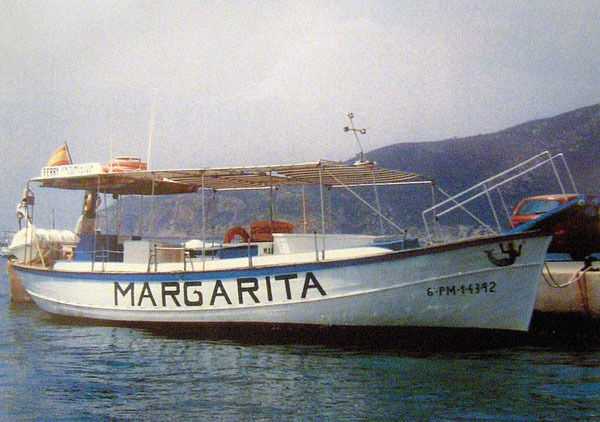 The Crucero Margarita‘s daily boat service does not start operating until February 7th, when there will be crossings every 60 minutes from 10h15 onwards, Mondays to Saturdays. The last outward crossing is at 14h45. Until March 31st, there will be no Sunday crossings. A new Summer timetable will come into effect from July 1st. Silly me, for not checking. To spare you the disappointment, here are the telephone numbers in case you want to confirm the times before you set off: 639.617.545 and 696.423.933. The fare is 10 € both ways for adults; children under the age of 8 sail free of charge. The photo (top) was taken in Sant Elm, Mallorca, Baleares, Spain. The date: February 5th, 2010. The time was 13:21:48. The photo (bottom) was taken from a postcard. Muchas gracias.